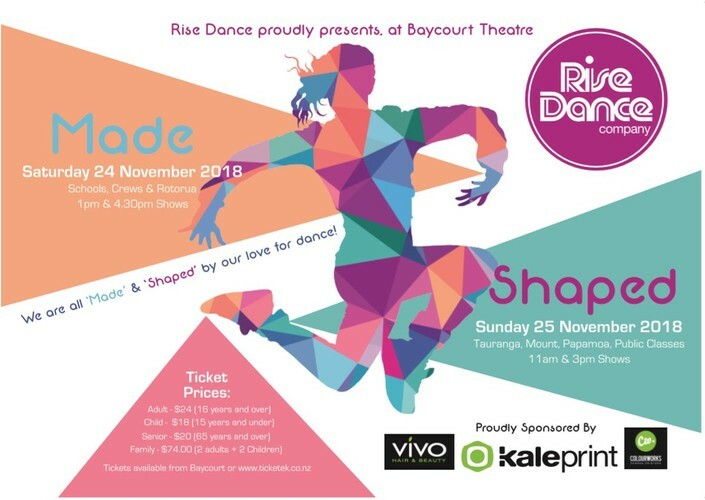 Rise Dance proudly presents our annual dance show "shaped" - Tauranga, Mount, Papmoa and Public classes showcase. Styles of dance include hip hop, jazz, contemporary, acro and some of our amazing competitive crew performances. We are all 'Made" and "Shaped" for our love of dance! Come and support our love for dance! Tickets will be on sale soon at Baycourt or online.